You’re typing away on your computer, and you’re not hungry, but peckish. You want to snack on some potato chips. You’ve just popped in a DVD or you’re enjoying your favourite programming, say Games of Thrones… and you want some food to accompany that. CHIPS! You’re starving (for whatever reason), but you’ve got dirty hands! There’s a bag of chips, but, you’ve got no hand sanitizer or clean running water? 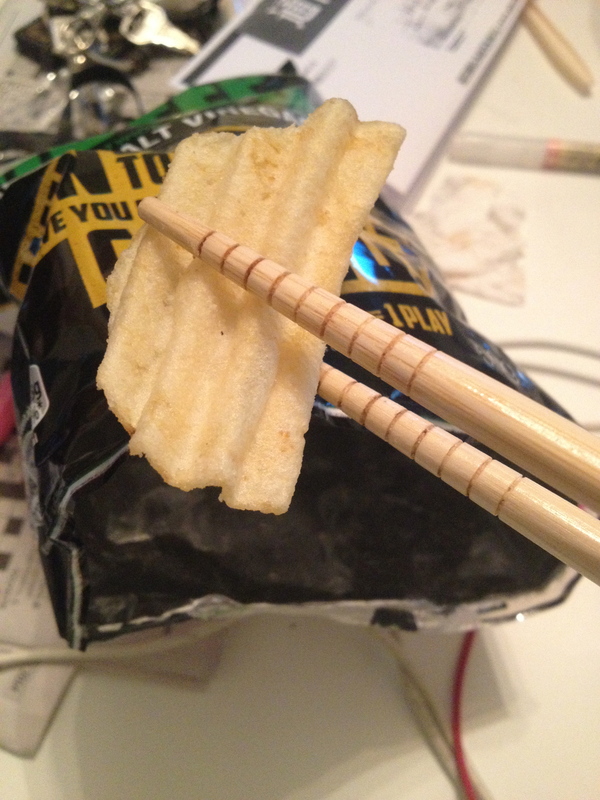 Is this a really Asian thing? Or is this just a “It’s really just me” thing? It’s the perfect solution no? Hands won’t get greasy so you can continue typing away. If hands are dirty then you can still eat. It’s perfect right?